Leicester City v Chelsea – An ideal time to try something new? Chelsea travel to the home of the Champions tomorrow night after a disappointing defeat against Liverpool and it will be interesting to see how many changes Antonio Conte decides to make. Chelsea fans are looking for an improved performance nonetheless. 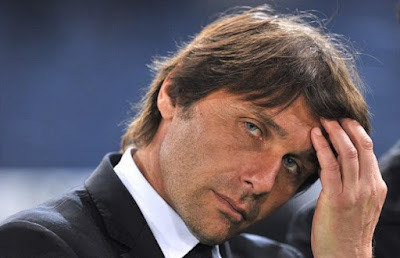 In an abnormal season compared to those we have witnessed in the last twelve to thirteen, our focus is on the domestic competitions with the League Cup becoming an important aim for Antonio Conte, the club and the players. Tomorrow night’s trip to Leicester opens up the debate amongst the Chelsea fans as to whether it’s the ideal fixture to bounce back from Liverpool, or if this is a game we could have avoided with a favourable game against weaker opposition instead? I prefer to look at the game as a positive, a chance to display the qualities we had previously shown and the ideal opportunity to grab a vital win. In order to do so, it’s imperative that our big players selected on the night deliver the levels of performance that is required from the Manager and the Supporters. This leads me to the questions we are all asking at the moment; “Just how many changes will Conte make?” I believe there will be only around two or possibly three at the most as previously stated, this is a competition we are looking to win. Players such as Nemanja Matic and Willian are the obvious ones that come under direct scrutiny with Cesc Fabregas and Victor Moses being those likely to be involved from the start. If I am being honest, I also see the game as an ideal opportunity to try something different, a chance for the Manager to play three at the back, to bring Alonso in at left back and Ola Aina in on the right. A David Luiz, Ivanovic and Cahill partnership in front of Courtois with N’Golo Kante deployed in the Makalele role should provide enough protection to deal with the threat that our opposition on the night pose. I would like us to then play Eden Hazard and Cesc Fabregas in the middle, ahead of Kante, supporting Diego Costa and Michy Batshuayi up front. Adopting this formation with the players selected gives us a chance to really hurt Leicester and will hopefully force them into a rethink of their shape. I really would be tempted to use the game tomorrow to try something new. It’s an ideal opportunity to work on a new approach.